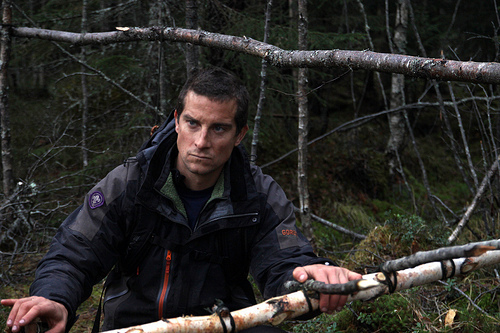 Bear Grylls has fast become the hero of many boys, teenagers and grown men alike. Since his TV début in 2005, Bear’s programmes have captured the hearts of millions of viewers across the globe. Of course, his feats are impressive and at times disturbing (floating in a rotting zebra carcass down a river gets my vote), but it’s Bear’s generous nature and tenacity which continue to blow away his fans. 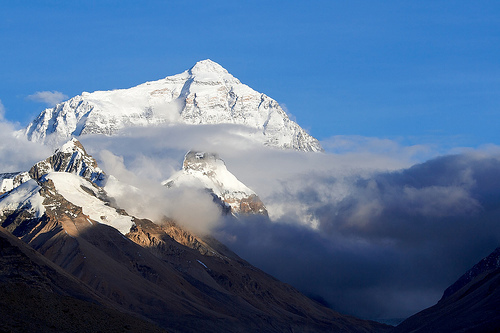 Bear is famous for being one of the youngest people to ever climb Everest. In fact, he is the youngest Briton to have climbed this behemoth of a mountain. In 1998, just eighteen months after injuring his back, Bear bravely climbed to the summit at the tender age of 23. Reaching it had been a childhood dream of Bear’s since his late father gave him a picture of the mountain when the whippersnapper was only 8 years old. You don’t have to do the same just to get your ‘Bear’ necessities as A. it’s expensive B. it’s dangerous and C. your month deadline will be over months before you even plant your left toe at the base. Try Ben Nevis instead: the summit, at 1,344 metres (4,409ft) above sea level, is the highest in the British Isles. No wannabe explorer would be worth their salt without a bit of kit. On his website, you can get Bear’s knife (the model he carries with him at all times – scream!). Is this a clever bit of marketing or just evidence of his over-arching good sense? You can make your mind up. Bear also wears an old army watch with an altimeter on it, and you can get something similar online. At times, it may look like Bear just popped out of his mum knowing all this essential man-knowledge. But don’t be fooled: he was highly trained by good teachers whose raison d’être was to pass on the flame of their learning. 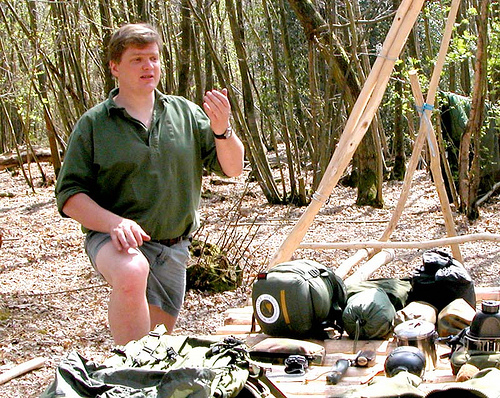 Books are fine for learning some basics or going on safari holidays and learning from local guides, but look out for vintage survival telly with the likes of Ray Mears and even McGyver providing the survival words of wisdom. Ok, so Grylls puts the adventure into adventure travel and has enjoyed a lot of experiences which are worth telling people about. Eating grubs the size of small rodents is a classic Bear story, as is drinking snake urine. Some of you there will want to go out and do just that. Good luck to you. The rest of us will probably go and camp in the nearest field and toast a bird that we bought in Tesco. Make a YouTube video of your outdoor feasts and near-death experiences with a fox and you’re onto a winner. The real beauty of Bear is that he just keeps on giving. He is seriously involved in the Scouts, being the youngest Chief Scout ever (are you seeing a pattern here?). The Chief Scout position was created to lead all of the adult volunteers in the UK, which have reached an astonishing 100,000 in recent years. Join too, and you’ll get extra Bear points for being efficient: Scouts and charity – you’re halfway there already. 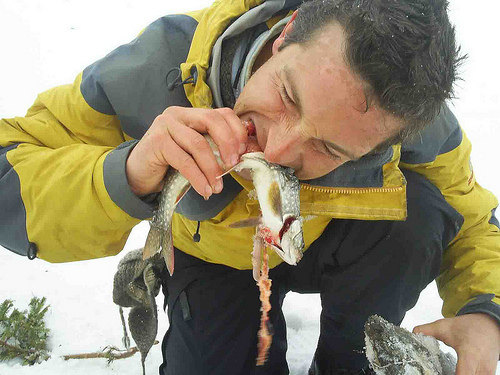 This entry was posted in Bizarre, Featured, Travel and tagged Adventure Travel, Bear Grylls. Bookmark the permalink.